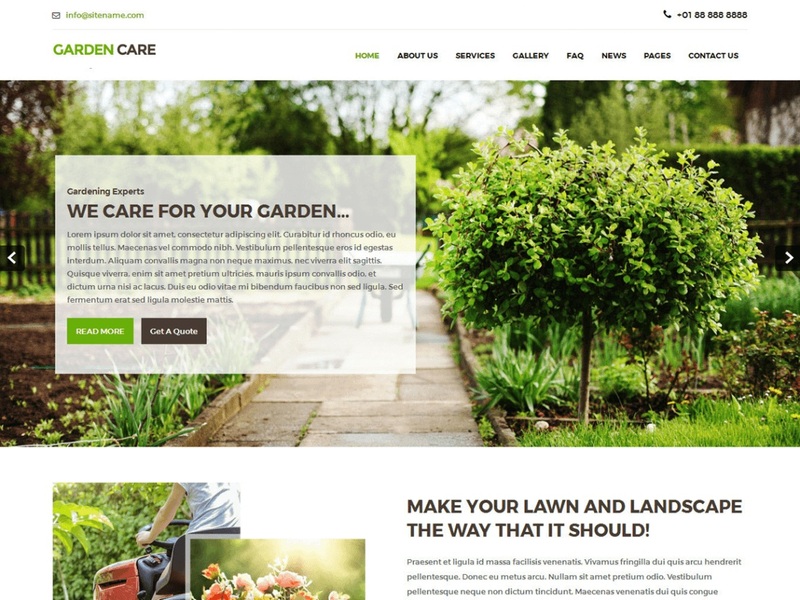 The Greenhouse Garden WordPress theme is a theme created for companies and individuals focusing on gardening. Businesses like Lawn Services Business, Landscaping Companies, Groundskeepers, Landscape Architects, Gardening Business, Florists, firewood, flowers, ecology, landscape, lawn, lumberjack, Big or Small gardener Business, Agriculture and companies that offer related services can use the theme. With an elegant and modern design and customizable grid, websites can be easily built with the easy to manage homepage sections and stand out from the crowd. This theme compatible with the latest version of WordPress and plugins like wocommerce and contact form.